The age of steam was the age of Britain's global maritime dominance, the age of enormous ocean liners and human mastery over the seas. The world seemed to shrink as timetabled shipping mapped out faster, more efficient and more reliable transoceanic networks. But what did this transport revolution look like at the other end of the line, at the edge of empire in the South Pacific? 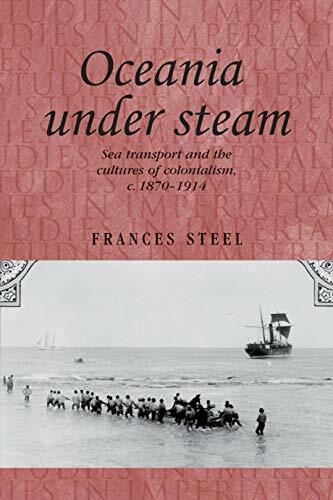 Through the historical example of the largest and most important regional maritime enterprise - the Union Steam Ship Company of New Zealand - Frances Steel eloquently charts the diverse and often conflicting interests, itineraries and experiences of commercial and political elites, common seamen and stewardesses, and Islander dock workers and passengers. Drawing on a variety of sources, including shipping company archives, imperial conference proceedings, diaries, newspapers and photographs, this book will appeal to cultural historians and geographers of British imperialism, scholars of transport and mobility studies, and historians of New Zealand and the Pacific.